In places like Sumatra the locals love to say hello, and they’ll really be tickled when you can reply back in their own language. The smiles are worth the effort to learn a few words in Bahasa Indonesia. 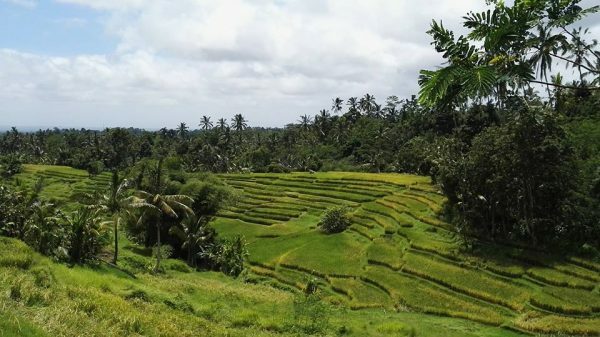 I love this country and enjoyed the Chedi – hidden among the lush undulating hills of Bali’s culture-rich highlands, this most private of resorts sits among thriving rice fields as far as the eye can see. Just outside the artists’ village of Ubud, the former estate of Hendra Hadiprana, one of Indonesia’s most respected art collectors has been transformed into an intimate retreat with twenty individual villas, each one uniquely featuring original Balinese artworks from his collection. The Chedi Club comprises of only 20 private villas dotted around their sprawling grounds. The rooms are sure to indulge you with traditional Balinese furniture, free mini bars and giant baths but the main selling point of this restorative resort is its setting. Surrounded by rice fields it has an agricultural stillness induced by the mesmerising and calming views of farmers tending to their crops. Lingering breakfasts at the restaurant, free afternoon tea and sunset cocktails and a fascinating tour of the local area with your own personal butler all combine to ensure that The Chedi Club will become one of your favourite hotels. So the rustic chic five-hectare property offers an authentic backdrop to one of Bali’s most dramatic performances, the Kecak dance – performed at the resort’s very own amphitheatre. 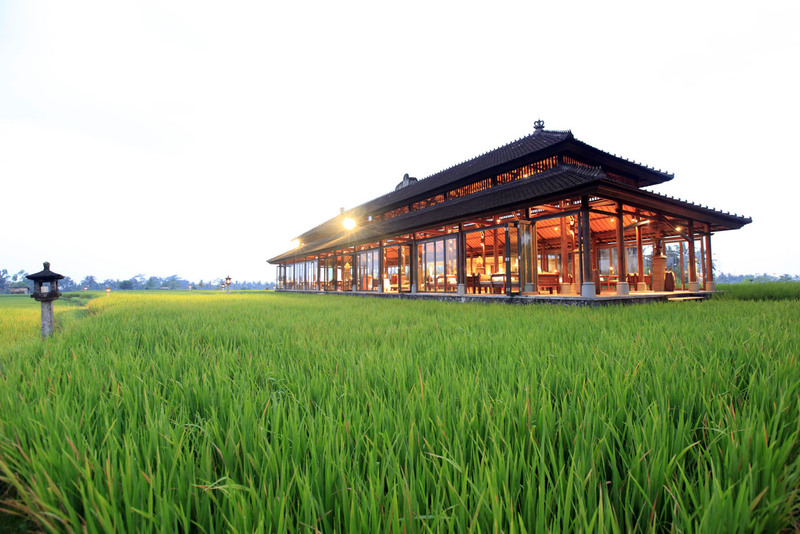 Those seeking serenity and rejuvenation will find both in abundance at The Spa, nestled at one edge of the seemingly endless paddy fields. Experience breathtaking sunrises over Mount Agung – Bali’s highest and holiest mountain – and enjoy a leisurely stroll by the estate’s lotus pond, home to a family of white Dutch and black Australian swans.